If you have apt-get if you use Debian, Mac OS X has Homebrew that isn’t built in with the system, but it’s easy to get. I wanted to set up Ruby environments on my computer, this is why I need Rubygems, and using Homebrew will make things easier. If you are often visiting my blog (thank you!) you’ll notice that my video this time is very different, with slideshow.. This is because I didn’t intend to publish installing Homebrew on Mavericks process while I still recorded how I did it. I guess it doesn’t need video at all though, but I love doing it, can’t help it..
1. I installed Xcode Version 5.0.2 (5A3005). 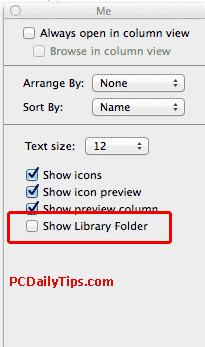 To do this, go to your AppStore, and search for Xcode. You should find it immediately there, click “Install”. 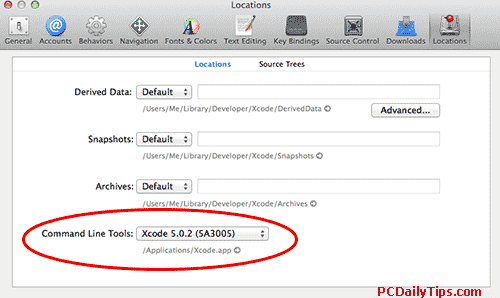 The “x-code-select” command requires the command line developers tools. Would you like to install the tools now?” message. Then got this “Can’t install the software because it is not currently not available from the software Update server” error message. So I went to Xcode to Preference or CMD + , and navigate to “Downloads” tab, and you should see something like this iOS simulator, and there is no option to download Command Line Tools, under “Components” this is because the new Xcode version has already preinstalled Command Line Tools. Makes things easier huh. 3. So let’s move on to the next step, which is opening your terminal, (inside Applications – Utilities – Terminal, you can go to this page for another post on how to use Terminal), then, copy and paste this following code, or from brew.sh into your terminal. Hit return, you will be prompted to type your password (the pass you use to login to your Mac). 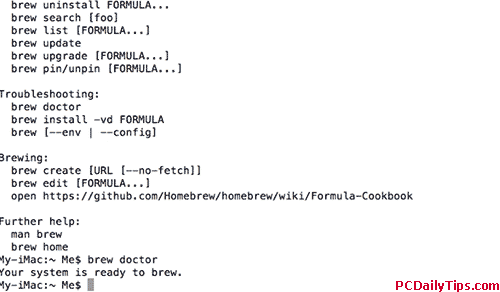 Follow the instruction, which is typing “brew doctor” to start using it. In the video, I typed brew help first before actually typing “brew doctor”. Typing brew listwill tell you the list of installed package in your Mac. First of all i would like to thank you for this great tutorial . I have then stopped and decided to write you and ask for your help . I am not actually a programer guy neither a developer but i am really really interested to become one . One of the most frustrating thing i usually face is the lack of how to compile an App from the source code , you know sometimes i get some apps interesting ones from Github but mostly people post the source code ; however, i have already asked someone to start to post the .dmg files in my case i am a mac user but its not easy sometimes thats why i was asked to install the homebrew , to be honest is the first time i heard about it and thats why i searched and funded your video on youtube and then i have decided to write after i get those messages and i thought you would be very familiar with that .. I really appreciate your intervention and help . How do i proceed after those warnings ? could you make a video demo with the homebrew ? and maybe how to compile from the source code ? I’m not familiar with Homebrew, I installed it to get Octopress running at that time. However, did you try to install Homebrew, and re-install it again? I never had this problem, but I found many people have almost similar problem with this.. I just now, tried typing “brew doctor” and things went well. I recommend http://stackoverflow.com/ to get better help.